Home / Latest / Palin and Evangelicals Give Jews the Creeps. Relax, People. By Inthemoment contributor Larry Kessner. OK, I understand why the Jews are nervous about Sarah Palin. Forget all the chatter about Obama being “out of the mainstream” because he’s Kenyan/Kansan/Hawaiian/Malaysian-ite-whatever-whatever. He’s not out of my mainstream. The top of my class was full of Obamas. I knew Obamas in college, law school and just about every walk of life. 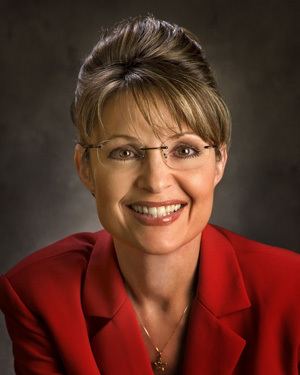 For many American Jews, it’s Palin, not Obama, who is a creature from another planet. She does not live in our Volvo-ridden neighborhoods, she does not visit Wellfleet in August, she did not attend any of the colleges on our kids’ lists (and she went to five of them), and her book club (if she had one, which is unlikely) would not be full of therapists and lawyers. So, naturally, she gives Jews the heebie-jeebies. No pun intended. And it’s not just the things she doesn’t do. It’s the things she does do. Names her kids Track, Trig, etc. Shoots large animals, guts them and poses next to them while smiling beatifically. Has a pregnant teenager and makes the poor kid marry her self-described “(expletive) redneck” baby-daddy. Lets her husband spend his down-time vrooming snowmobiles across Alaska. Most of us just don’t get her. And yes, she is a believing Christian. She belonged to a Pentacostal church until 2002, and then she joined a warmer, fuzzier, non-denominational Evangelical church. Think of it as the difference between the Hasids and the Modern Orthodox—sort of. Yes, her church recently had a speaker who was a leader of Jews for Jesus. So what! People, get over this Christianophobia. The bottom line is this: Do they support Israel? As Marge Gunderson (the Fargo character to whom Palin’s accent bears a scary resemblance) would say, Yah, You Betcha. But, says the Christianophobic Jewish mainstream, that’s just because they want to convert all the Jews. Please. I think we can withstand the pressure. Last time I checked, Ferdinand and Isabella weren’t running the show around here, and not too many Jews I know are signing up with their local Fundie churches. Secular American Jews need to stop clinging tenaciously to their fear of anything that is associated with the Right. One pillar of the Right is conservative Christianity, which remains a bogeyman to liberal Jews who identify fundamentalist Christianity (often wrongly conflated with all evangelical strains of Christianity) with anti-Semitism. In my experience, in contemporary America, just the opposite is true. Not only are the more conservative Christians more conversant with religious if not cultural aspects of Judaism, but on the whole, they are more pro-Jewish and pro-Israel than many secular Jewish liberals. So the fact remains, Sarah Palin and her Evangelical brothers and sisters are, in fact, good for the Jews. I think the real Sarah issue may be the most intractable reality of presidential politics: It’s not really about politics at all, it’s about culture. Sarah Palin represents a segment of American culture—a very, very large segment, as we’re learning—that is simply outside the experience of most urban American Jews. Sarah and her ilk are people who most American Jews just never have had an opportunity to rub up against (and frankly, many would just as soon keep it that way). My childhood was progressive-suburban: Kumbaya-singing summer camp; Ethical Culture Sunday school; and an integrated school district where interracial dating was more or less OK, even in 1972. We didn’t have any Sarah Palins around. Fast forward to 1991, and there I was, the proud owner of two little radio stations in rural Bedford, PA, population 4,000. Country music on the FM. “Contemporary Christian” (mostly sweet Jesus songs and paid-in-advance screaming preachers) on the AM. I was an active member of the Bedford Rotary Club, and even helped out with the bull roast. I became good friends with an apple farmer who shot deer from his front porch (no license needed to blast the critters if they’re eating your crop). Some of my other new Bedford friends, including the local Pentecostal and Evangelical revs who kept my time slots filled, were a bit perplexed by my presence and wondered out loud whether I was fixin’ to turn the Christian station (“Joy 1310”) into a Jewish-themed station (“Oy 1310?”). I assured them I had no such plans, and, in a show of goodwill, one of them presented me with a lifetime subscription to “Israel My Glory,” the house organ of a Jews-For-Jesus type group. My apple farmer friend introduced me to the ways of Bedford County, including deer hunting, which I must admit was a lot of fun, even though I never “got me one.” It was a valuable education. Along the way, I hired an advertising sales staff consisting largely of younger Sarah Palins: local women, with maybe a year or two of college, active involved in the community, and always busy juggling kids and work. They were Wal-Mart shoppers, with high-blue collar or low white-collar husbands; church-going, bible-believing and nice. I’m talking about white, American, Christian women. Non-ironic, straight-forwardly funny and truly apologetic when they couldn’t find me a “Happy Hanukkah” card at the local drugstore. This is Sarah’s America. Now relax, people! Sarah’s America is not “against” us. Jews make up just 2% of this country. Evangelical America, by some estimates, comprises about 25%. It is a very big tent, and worth exploring a bit. I promise, they don’t bite. I grew up in small-town Pennsylvania, in a place not unlike Bedford, and I think I understand Sarah Palin — or more accurately, I understand why many people like those I grew up with like her and will vote for her. I don’t think they’re necessarily (or even generally or primarily) anti-Semitic (If you knew my father, you’d know what a concession that is on my part), and although my life is very different from theirs, I think our shared beginnings allow me to be comfortable with them. But I’m still scared by her. Not because she’d be bad for the Jews, but because she’d be bad for the good ole US of A. I’m happy she exists, happy to share a bagel with her, and maybe even happy to invite her to a seder. But while I’m willing to have her in my house, I don’t want her in the White House. Four time cancer victim and 72 year old John McCain’s choice more closely resembles someone from your former advertising staff that someone ready to take the helm of the free world. Remarkable, really, that the man with the most honorable of military service records — and who has made “Country first” his mantra — made the most important decision of his professional life for the most personal and paraochial of reasons: To win.